Collagen is extracted from fish scale,fish skin,porcine skin,bovine skin,or chicken bone, all material is natural. 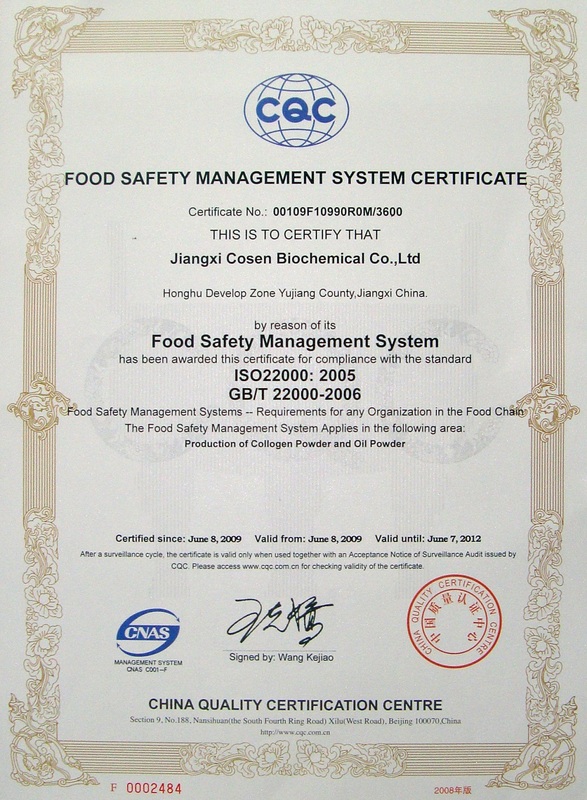 We have obtained the certificate of ISO9001: 2008 Quality Certification System，HACCP Food Safety Management System and Halal,Kosher certificate etc. Gelatin is our another main product, now we have fish gelatin,bovine skin gelatin. Welcome for your order. We can supply manys ways to OEM/ODM, because we are professional,experienced,and we have OEM resources, customers can supply brand and pack material with us, others we will provide(formulatin products process or credentials). 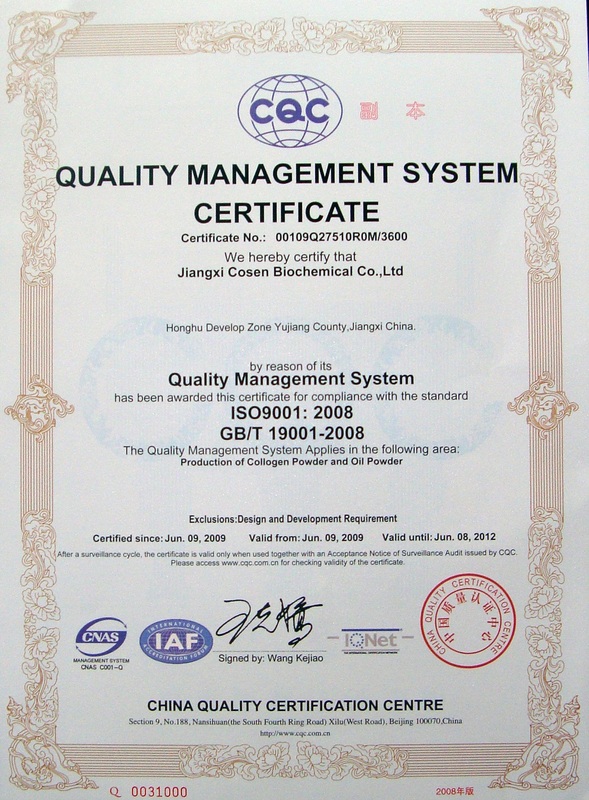 Please contact us freely, contact email: sales@chinacollagen.com.